Home to 7,107 islands – some bustling with civilisation and some uninhabited provides more than a few reasons to visit the Philippines. As a nation that’s proud of its heritage yet possesses a fondness for modernity and Western traditions, it is a true cultural melting pot. Here, you will find sparkling beaches, comforting food, friendly locals and experiences aplenty. Make your way to El Nido, named many times as one of the best beaches in the world, where karsts and small islands await. 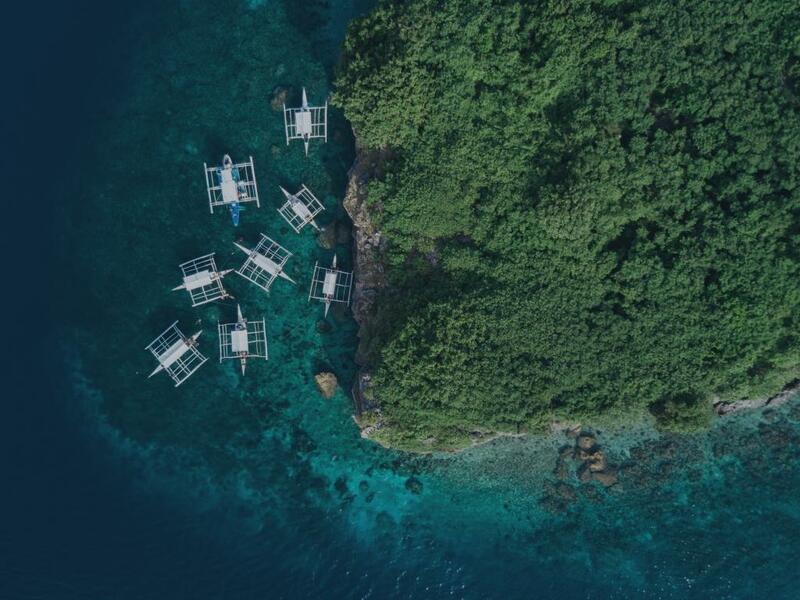 Island hopping is the thing to do here, during which many tour guides will take you on a traditional fishing boat to explore caves, sandbars, emerald lagoons and secret beaches. Southeast Asia has its fair share of rice terraces, but none are more spectacular than those in the Philippines. The province of Ifugao is peppered with rice fields that were carved into the mountains hundreds of years ago. The Banaue Rice Terraces are the most legendary, but the ones in Batad, Hapao and Cambulo are equally breathtaking. Charming remnants of Spanish colonisation are sprinkled all over the archipelago, but Vigan, a beautiful city in Ilocos Sur, tops them all. Here, Spanish colonial houses pave the cobblestone streets where kalesa (horse-drawn carriages) shuttle tourists around. It’s a UNESCO World Heritage Site worth checking off your list. As one of the smallest volcanoes in the world, Taal Volcano in the Philippines certainly warrants a visit. However, it is the unique location and awe-inspiring panoramas that make it worth the trip. This tiny, yet active volcano can be found in the heart of Taal Lake in the province of Batangas, and a challenging trek to the top rewards you with picture-perfect views of the surrounding area. A famously unique landmark in the Philippines includes the Hanging Coffins of Sagada. To the Igorot tribe that have practised this unique way of laying their dead to rest for more than a thousand years, it’s a noble tradition. To the visitors that make a guided trek from the main town into Echo Valley, it’s a curious experience and a look into the country’s captivating pagan roots. Set in the Zambales Mountains in Central Luzon, Mount Pinatubo made headlines when it last erupted back in 1991. Today, it’s the destination for many adventurers seeking a memorable climb that meets with the exquisite, lake-filled crater. Take a guided hike to the top, rubbing elbows with locals along the way, and sleep under the stars by the lake. While Panglao Island, the small resort isle that juts out of Bohol’s southwestern shore, draws the most tourists, the main island itself boasts the finest sights. The verdant island presents a diverse range of attractions, from rivers fringed with waterfalls and mangroves illuminated with fireflies to a cluster of hills that look like giant Hershey's Kisses. Make sure you tick off a visit to the Puerto Princesa Subterranean River National Park, a UNESCO World Heritage Site that is home to an important 'mountain-to-sea' ecosystem. The main highlight, of course, is the cave carved underneath a limestone karst. It’s home to one of the longest underground rivers in the world and can be explored by boat. Rumour has it that witches who practice dark magic roam Siquijor. Whether that is true or not is yet to be proven, but it does add to the island’s mysticism and appeal. What is true, is that Siquijor is a beautiful land, teeming with terrestrial and aquatic wonders. Take a dip in its blue-hued waters, venture into the caves, visit the many waterfalls or meet a local healer. The Southeast Asian archipelago is tucked between the Pacific Ocean and the South China Sea, about 1,400 kilometres east of Vietnam. A nonstop flight from Los Angeles is 15h 45m while a nonstop flight from Sydney is 8 hours. The city of Manila, set along the coast of Manila Bay, is the official capital city of the Philippines. The larger metropolitan area of Metro Manila, which encompasses other cities like Quezon City, Makati and Pasay, serves as the capital region. The Ninoy Aquino International Airport in Metro Manila serves many domestic and international destinations and is the main hub. It’s about 11 kilometres from Manila’s historic old city, Intramuros, and about five kilometres from Makati City. The official language of the Philippines is Filipino, the official name for Tagalog. Different regions have their own dialects; however, most speak and understand Filipino. English is widely understood and spoken, especially in the urban areas. The Philippines uses the Philippine peso. The currency code is PHP. While many establishments accept Visa and Mastercard, public transportation, taxis and most small businesses are cash only. ATMs abound in the cities and resorts areas. Many countries in the world have a visa-free travel privilege to the Philippines for a set number of days. US, UK, Australian and Canadian citizens as well as those from neighbouring countries may visit the country visa-free for 30 days. Before you travel, always check the visa entry requirements. The Philippines use 220 Volts/60Hz and a flat blade plug. Depending on your country’s outlet type and electrical current, you might need a voltage converter and an adapter. Check your appliances, some may be dual voltage and won’t need a converter. Recommended vaccines for the Philippines are as follows: typhoid, hepatitis A, hepatitis B, rabies, measles, mumps, rubella, cholera, Japanese encephalitis and influenza. Yellow fever vaccination is required if you’re arriving from a high-risk country. Like the United States, the Philippines uses 911 as its official national emergency hotline. December through April sees the busiest time for tourism in the Philippines. Not only are they the driest months, and thus, best for travelling, but they also host a number of important holidays for the Filipinos like Christmas, All Saints Day (November) and Holy Week (March/April). Expect rates for hotels to increase, especially during Holy Week. For excellent weather minus the crowds, January and February might be the best time when kids are still in school and any important holidays are region-specific. Although May through October is defined as the wet season in the Philippines, it might be worth noting that the weather stays relatively warm and rain isn’t always constant. And while typhoon season is usually in September and October, not all destinations in the archipelago are affected. It is worth thinking about travelling to the islands during low season. Consider May and November. Thinner crowds and cheap prices coupled with thoughtful planning is key to an unforgettable Philippines vacation. Do you tip in Philippines? Tipping is generally not expected in the Philippines. However, because of the boom in tourism, it’s becoming more common and it is certainly appreciated. A 10% tip in cash for bellhops, tour guides, cab drivers and servers should be enough. Internet access in the Philippines can be troublesome. While resort areas like Palawan, Bohol and Boracay offer WiFi, you might have to suffer through incredibly slow speeds, not to mention the occasional power outages. It really depends on the city or town. In some places like Metro Manila, drinking tap water can make you really sick. Other places –Davao City, for example –pride themselves on having clean tap water. A good rule of thumb is to simply drink bottled water for the entire duration of your visit. Sure! Visa and Mastercard are accepted by many of the bigger businesses. However, smaller establishments and vendors only accept cash so it’s best to have that handy at all times during your visit. Public holidays in the Philippines –alongside Christmas Eve, Christmas Day and New Year’s Day – include Good Friday, Labour Day on May 1, Independence Day on June 12, All Saints and All Souls Days on November 1 & 2, Bonifacio Day on November 30 and Immaculate Conception Day on December 8. The urban areas in the Philippines offer modern toilet facilities, as do some towns and resort areas. However, in many very rural areas, you'll have to deal with squat toilets. It’s also worth noting that standing on the toilet seat is still practised by locals so keep sanitary wipes handy. What is the proper dress code for tourists? Though the Philippines is a little conservative, locals are relaxed with the dress code. Shorts, skirts, sleeveless tops, and short dresses are more than acceptable. Do note that if you wear more revealing outfits, you might find yourself the recipient of disapproving looks and catcalling. Is the Philippines safe for travellers? The government is taking all the necessary measures to protect tourists, and as long as you practise common sense and basic precautions, you should be fine. Take extra care when visiting Manila as pickpocketing is common.